The two new additions complement the XPress range offering a complete system from 12mm through to 168mm. “We are constantly looking at what the market wants and addressing needs of specifiers and installers. We noticed a gap in the UK market for larger sized press fittings and have introduced these new sizes (140mm and 168mm) which allow greater flexibility on large scale installations,” said Amy Sedgwick, Press Systems Market Manager for Pegler Yorkshire. The XPress stainless steel range is a world class fitting that can now be fitted up to 25 bar, subject to application submittal and prior approval. It boasts a myriad of advantages including; no requirement for threading machinery or grooving which is labour intensive and costly, it also negates the need for a hot works permit as no heat or jointing compounds are needed to complete the jointing procedure. In addition, XPress benefits from a unique Leak Before Press feature which provides instant identification of joints that have been assembled correctly but mistakenly left unpressed. For use on hot and cold water systems, chilled water services and fire protection the new additions to the XPress Stainless Steel range are simply compressed onto 316 or 304 tube using the AC0401 press tool and slings. 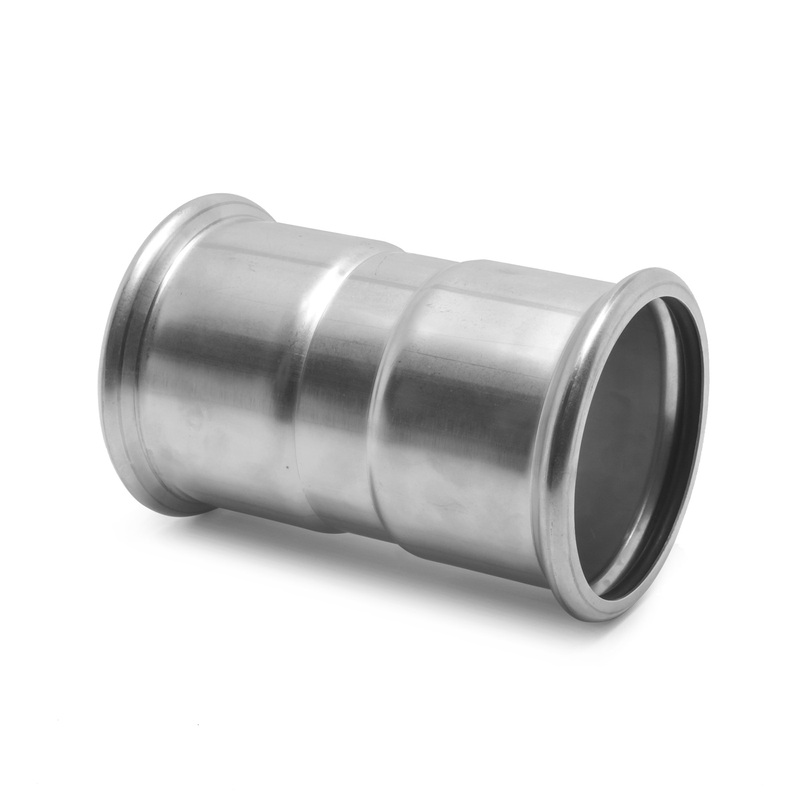 There is also flange adaptors available for Pegler Yorkshire valves to complete the system.